The company EINES CANELA S.A., manufacturer of cutting tools, established in 1967, has become into one of the European leaders in the manufacturing of milling, turning, threading and parting tools. The R+D, design, marketing, finances and export departments are situated in the headquarters in Badalona, from where they give support to their subsidiary companies, distributors and customers all over the five continents. EINES CANELA offers to their customers a large range of standard and special products for all sectors of the metal cutting industry. In 1977 Microfusió Catalana was founded and began metal casting using the lost-wax process as an additional activity to the manufacture of tool. Currently the company is an investment casting plant. 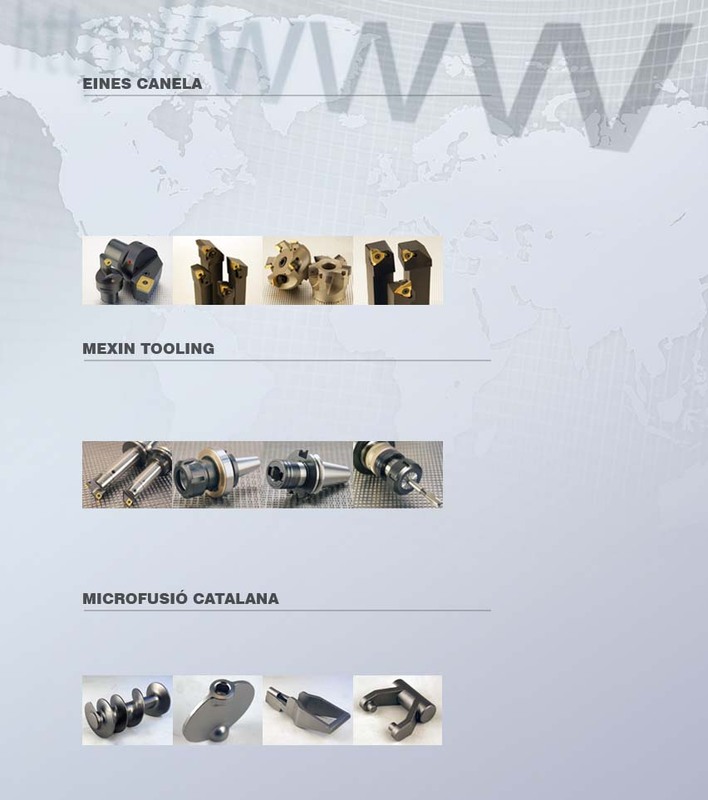 MEXIN TOOLING was born in 1969 and has grown faithful to this principles of quality in all its products. Innovation and perfectionism are our first working norms, as well as effectiveness and responsibility in dealing with the customer.